Description: Women’s Adidas ‘TechFit 3 Inch’ short. Features an Adidas logo on the front and made using ‘ClimaLite’ fabric. Description: Women's Black Puma Tight Running Shorts. ​Description: Women’s Adidas 'Tennis’ short. Features an Adidas logo on the front, as well as an elastic waist. Description: Women's Adidas Grey Ultra Shorts with Clima Cool material. Description: Women's Adidas Tall Length Shorts in White with mesh inner. Perfect for tall Basketball Athletes. 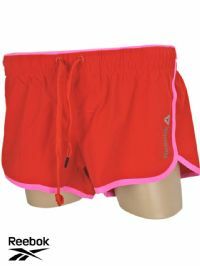 Description: Women's Red Reebok DT One Shorts. 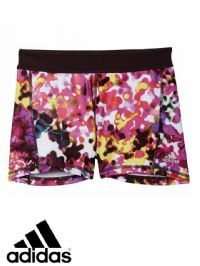 Description: Women’s Adidas ‘TF STT 3 Floral’ short. Features an Adidas logo on the front and is made using ‘ClimaLite’ fabric. 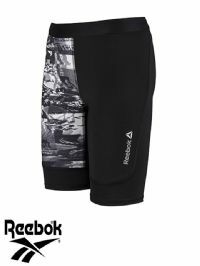 Description: Women’s Reebok ‘DT Compression’ shorts. Features a Reebok logo on the front and made using ‘PlayDry’ fabric. Description: Women's Adidas RS Shorts in Black with Climalite material. Description: Women’s Adidas ‘Run’ reversible short. Features an Adidas logo on the front and a zip pocket. Description: Women’s Reebok Running shorts. Features a Reebok logo and various running based graphics on the outside. Description: Women’s Adidas Climalite Shorts. Features an embroidered Adidas logo on the front, as well as having side pockets. Description: Women's Adidas 'Techfit ST3' Shorts. Features UPF 50+ for skin protection. Also has the logo on the front. Description: Women’s Adidas ‘GT M10’ Short. Features an Adidas logo on the front, as well as three tonal stripes down each side. 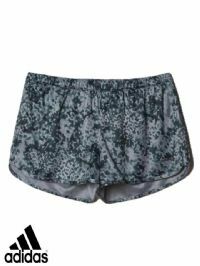 Description: Women's Nike Fleece shorts. Features the Nike logo on the front. Green coloured with an orange stripe design on the sides. Description: Women's Adidas 'Essentials Woven' shorts. Features the Adidas logo on the front and has side pockets. Description: Women's Adidas Climalite 'Gym 2 in 1' Skort. Features the Adidas logo on the front and also has an inner lycra based shorts with a skirt on the outer. Description: Women's Adidas Originals LA Print Skirt. Description: Women's Adidas 'REF' long short. Features a small Adidas logo, as well as three stripes down each leg. Also includes two side zip pockets and is made using 'ClimaCool' fabric. Description: Women's Adidas Regular Length Shorts in White with mesh inner. 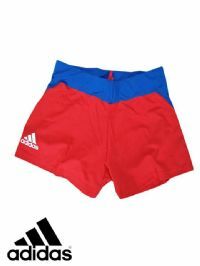 Description: Women's Adidas 'HB Short W' short. Features an Adidas logo on the front. Also includes an elasticated waist as well as having a drawstring to further adjust the waist size.